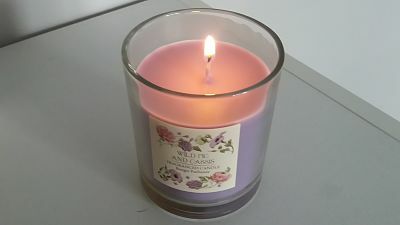 I bought this soy candle as a little treat for myself and have to say this smells divine. 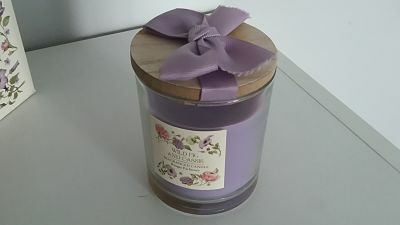 Being a lover of candles im always on the look out for different smells but i also want it to look nice , there nothing worse than having candle not look pretty and not wanting to show it off and that is exactly what i have been doing and I get many comments . 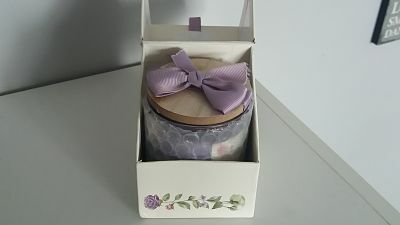 People are attracted to how pretty the design is with its pretty little wooden lid with a lilac bow and so they then smell and they assume i will be lavender but are pleasantly surprised to get a gorgeous smell thats not over powering and then i tell them its also soy wax so this is Eco friendly with the benefits of no toxins and will last longer . This was presented in a lovely little box and well protected and came quickly . 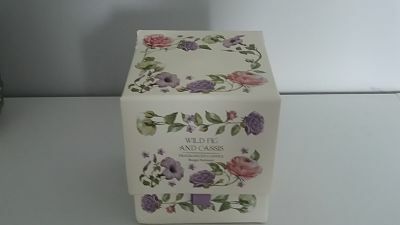 I will be back to buy more as Christmas gifts as the smell of wild fig and cassis is gorgeous. 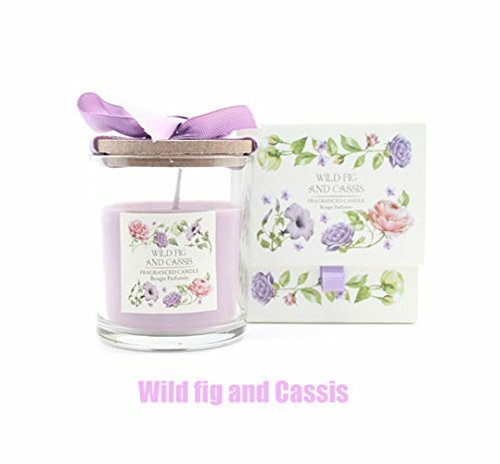 There was a little discolouration at the bottom of the glass but I knew that this also has a natural wick and that it is its natural process , so that to me just makes me know that this product is 100% genuine and there are no toxins .